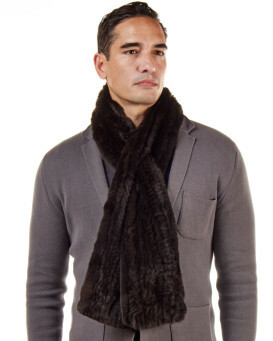 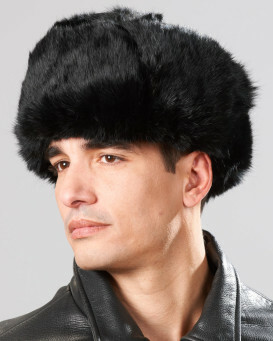 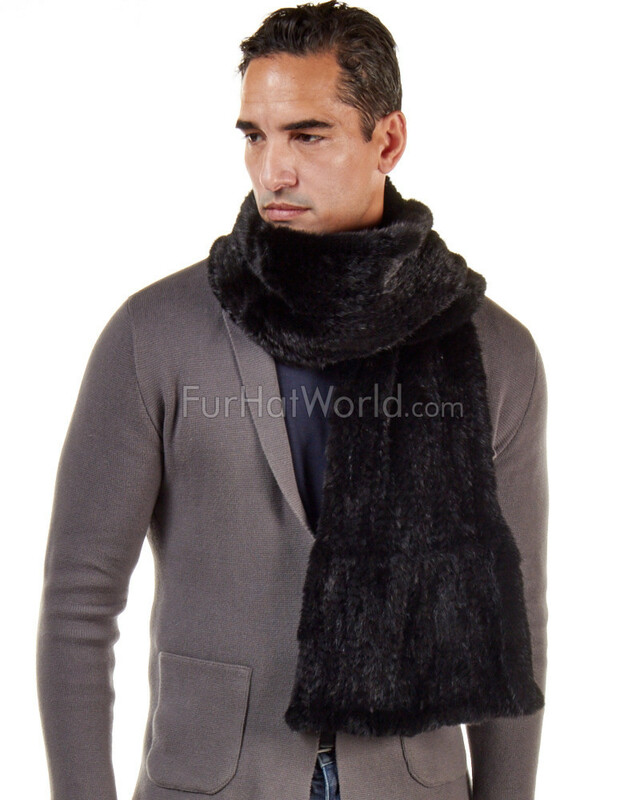 Look classy in a Calvin Knit Mink Fur Scarf in Black for men. 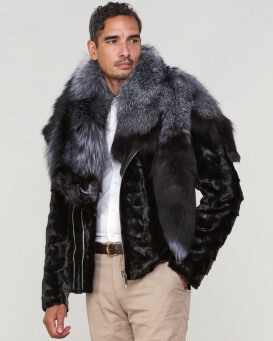 This dashing detail will be the hit of the party with a distinguished design crafted of genuine mink fur on both sides of the knitted style. 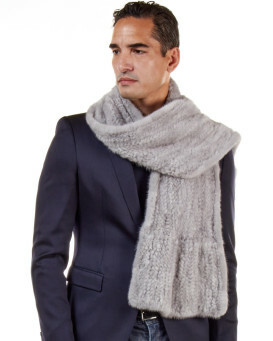 The lightweight feature is lengthy for the perfect accent over your suit or casual outfit. 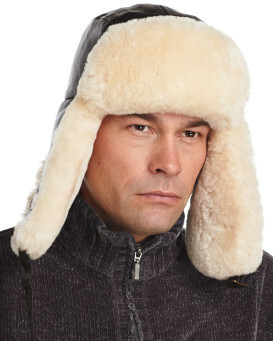 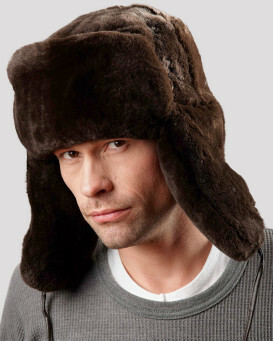 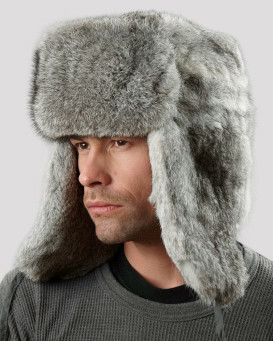 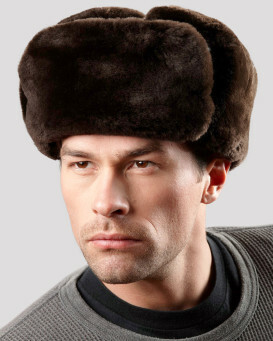 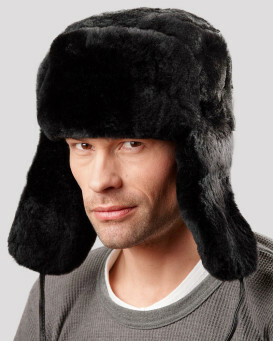 The handsome accessory is one size fits all for an excellent gift to your friends or family. The scarf will keep you warm through any season and look fashionable during the day and night. 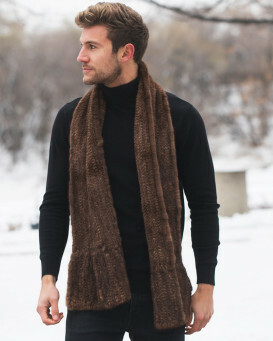 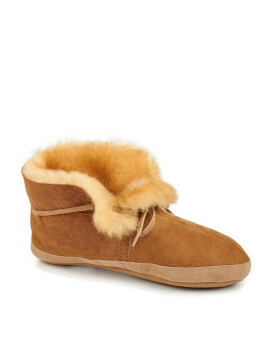 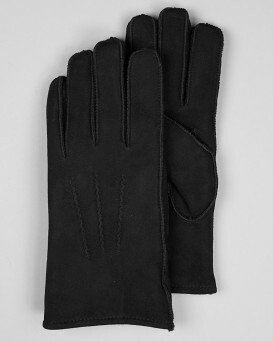 An impeccable accent is all you need during the chillier winter seasons.